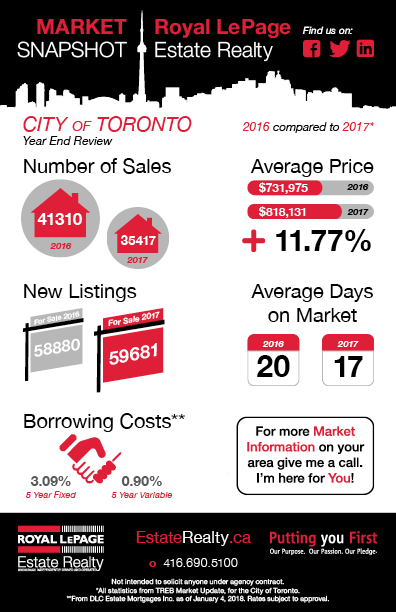 The overall Toronto market saw an increase of 11.77 percent in average sales price year over year. The average price in the city of Toronto for 2017 was $818,131. The downtown Toronto Condo market saw HUGE gains, which an increase in price of almost 24 percent year-over-year. East Toronto prices were up 14.24 percent, the number of homes sold in in 2017 was down from 2016, but the overall new listings was up by about 1200. Midtown average prices were up 12 percent in 2017. 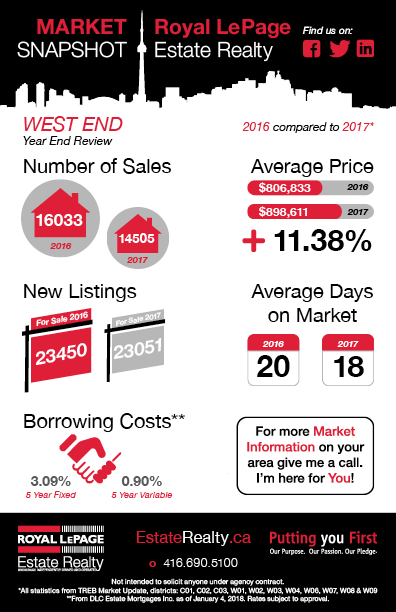 West Toronto prices increased by 11.38 percent year-over-year, while sales volumes and new listings decreased. 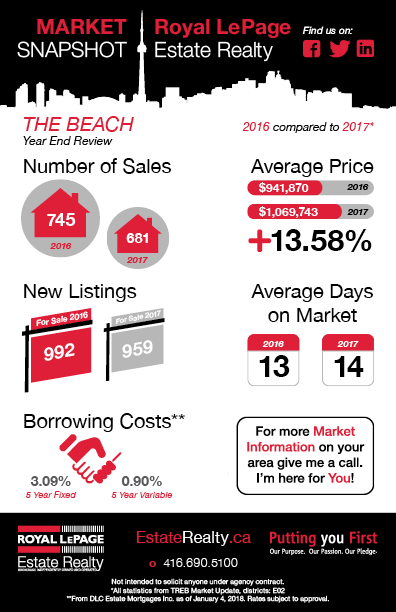 The average sales price in the Beaches was up by over 13.58 percent year-over-year. Durham region saw an increase in price of 16 percent year-over-year.